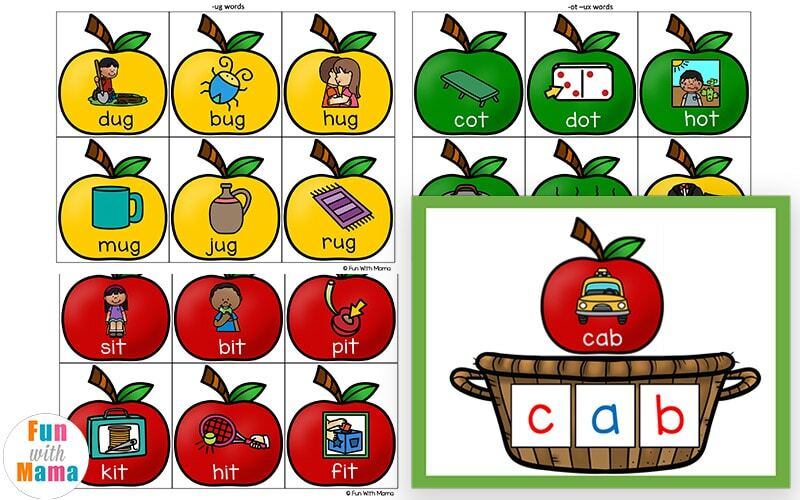 These apple CVC Words with pictures are SO cute and can be used by children ages 5 and up. This set is the latest activity set in our CVC Words activities. 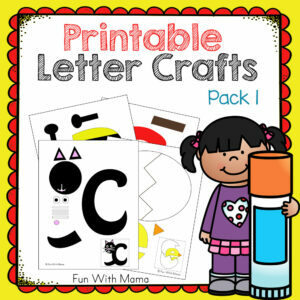 As long as a child knows their letter sounds, they can use these CVC word games in the Fun With Mama shop. 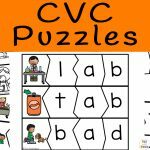 I have created 2 types, one with just the CVC image and the other includes CVC words with pictures. 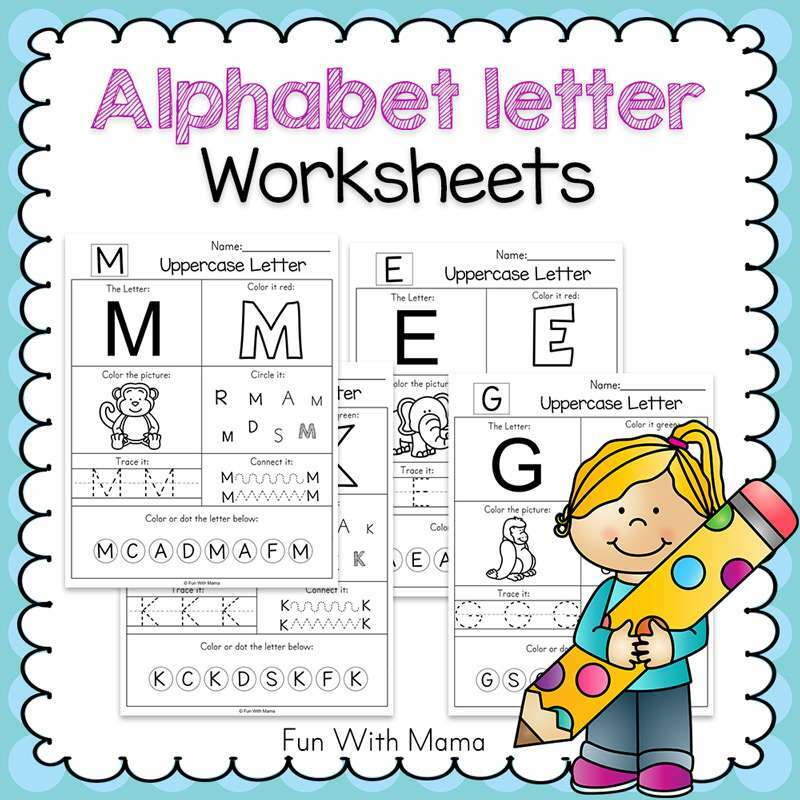 The one with the text can be used by younger children, like those who don’t know all their sounds yet, but know their lowercase letters. CVC words are often taught in Kindergarten and first grade. 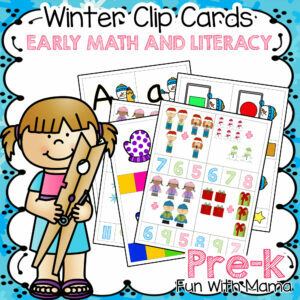 Children at this age group love cvc word games and working with hands on material. 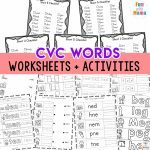 You can find our CVC Words List here. Some children are auditory learners, while others are visual learners. 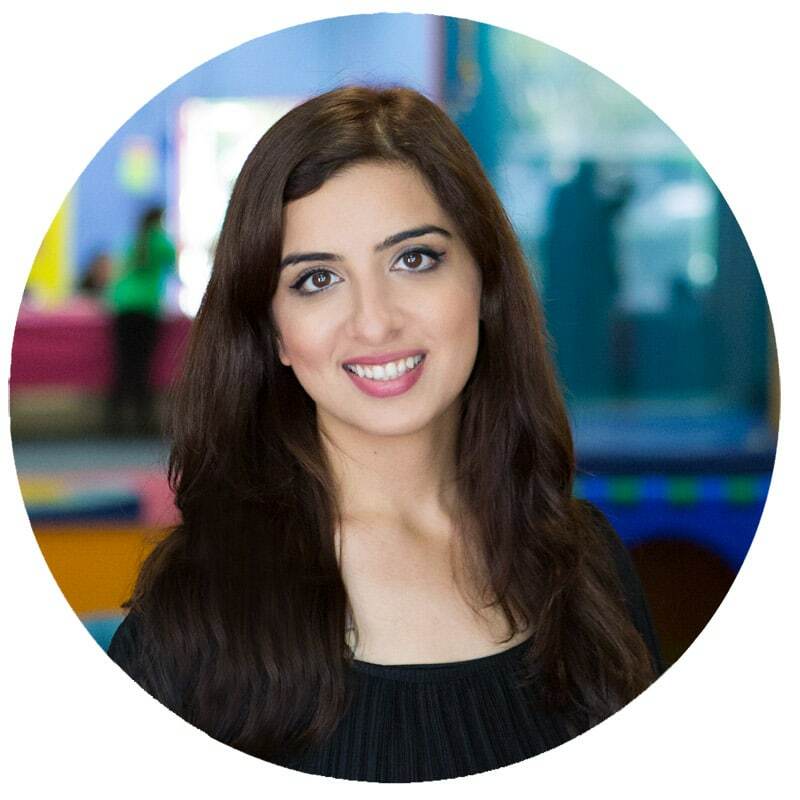 I find that the more you can link teaching activities to a child’s five senses the more children seem to retain these type of activities. 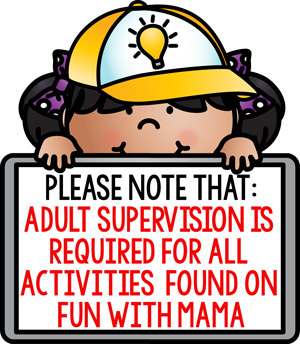 Enhance the activity suggestion: Light some cinnamon/apple candles or make fall play dough so that the classroom has an Apple smell. Below are the apple cards without the text below the image. Children may need some guidance as to what the word actually is. Below, you can find the CVC words with pictures. 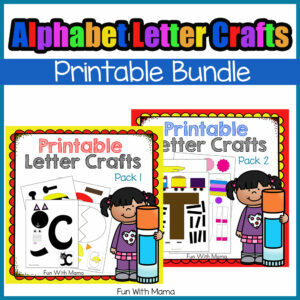 This set is appropriate for younger children since they are not only working on word building, but also visual recognition of letters. 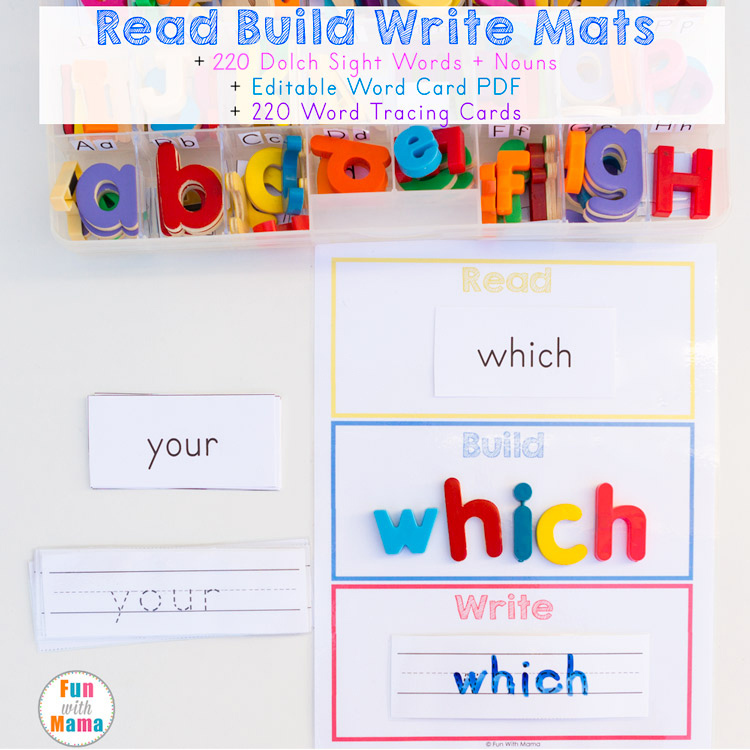 Another suggestion here is that you can cover the correct word, have the child build it and then he/she can then double check the word. 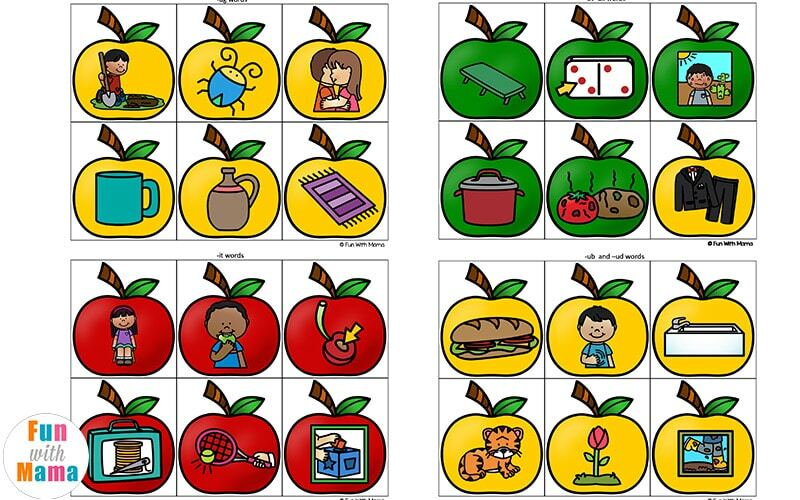 The apples can also be used for a matching activity. 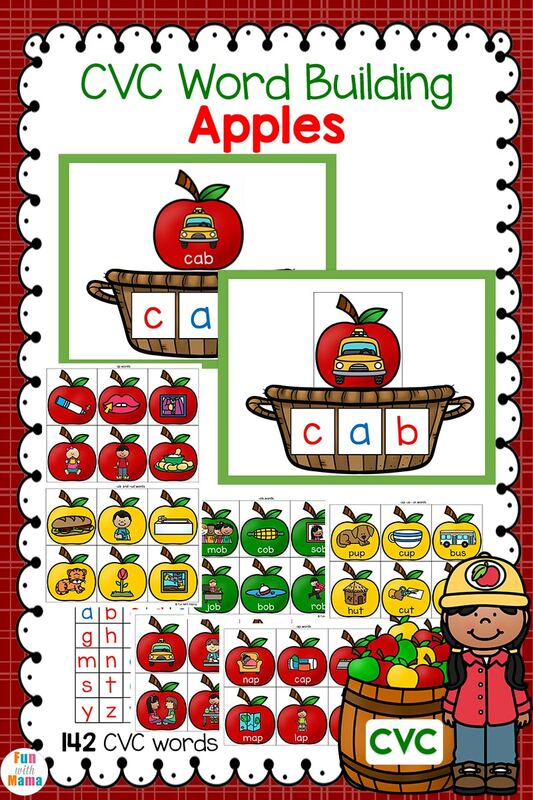 Use the apple with just the image and match it with the apple with CVC Words with images. 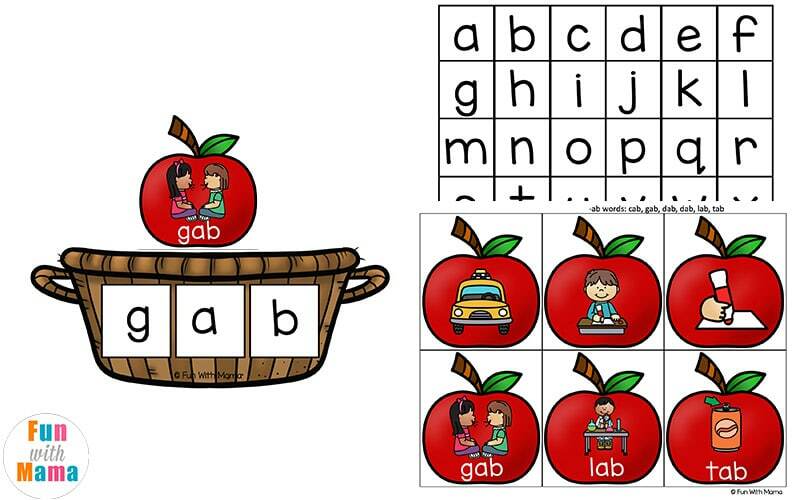 When building you can also use the apple with just the image and then the child can double check their spelling using the apple with text. They are pretty versatile and fun. Print out a big tree and stick your weekly CVC word family words to the tree once you are done building it. Make an apple scented fall cooked play dough recipe. Make an apple sensory bin. Fish for apples in a water tub. 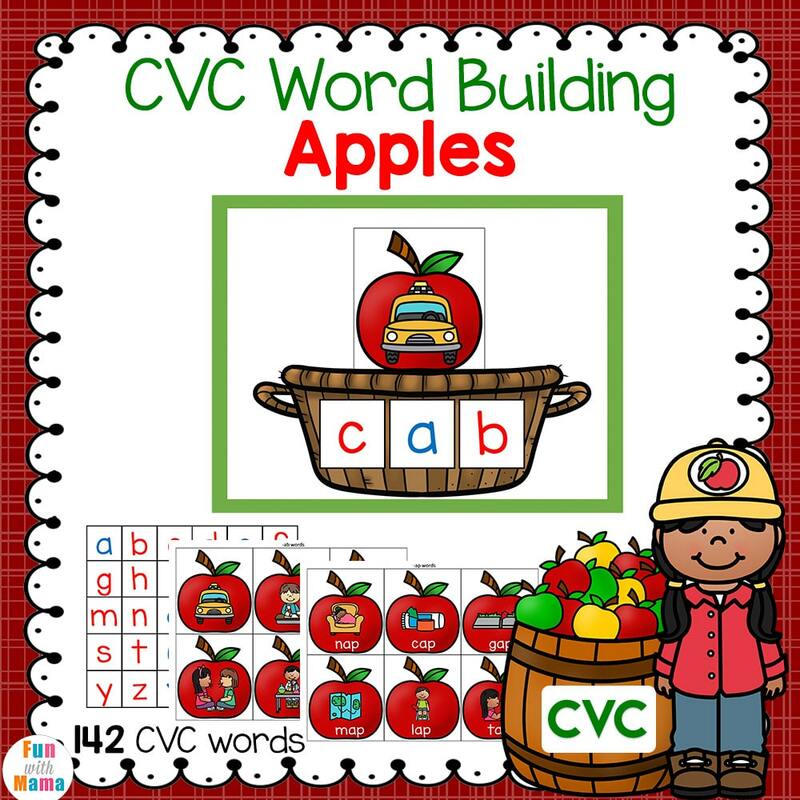 Place the CVC apples around the room and have children hop around. Whenever they step on an apple they have to say the name of the word, the spelling, or what sound the word starts with. Have the children sort the apples according to the word families. 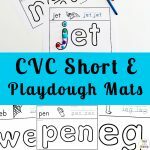 Use the CVC play dough mats or the free CVC Short A Playdough Mats.